My Mini Happy Planner is currently the only planner I use on a regular basis. It holds EVERYTHING for me! 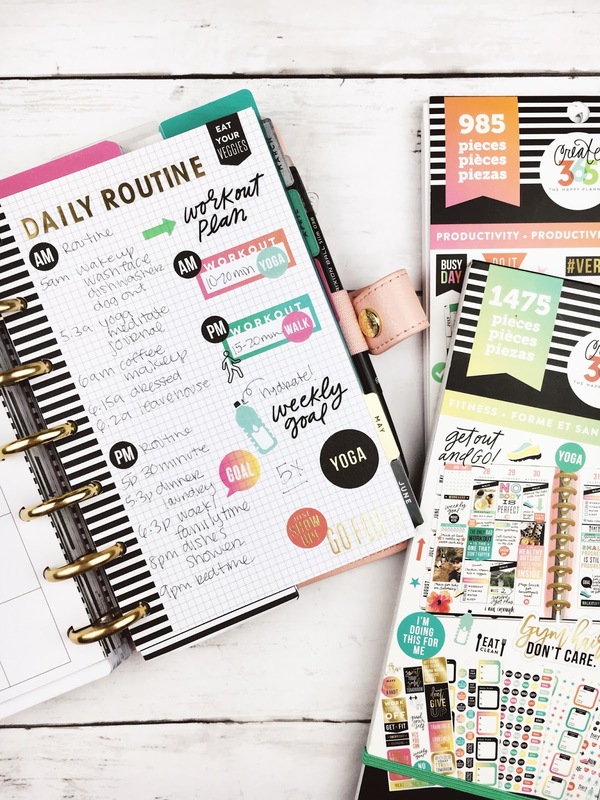 There are two major reasons why I use the Happy Planner brand exclusively for my weekly planner - the disc bound system & the cute yet functional accessories. Prior to the emergence of the Happy Planner (which, side note, can we just reflect on how much the planner options have grown in recent years?) I relied on making inserts myself for various ring bound planners. It was perfect for me...until it got overwhelming. I would spend painstaking hours trying to create the perfect planner page for myself. It got to be that I was spending too much time working on a planner page than actually using my planner. Being too dang specific with my layouts really bummed me out. When I found the Mini Happy Planner I was sold on the ease of it all. It was already done for me, there was nothing for me to fenagle, I could just use it as is. But once the brand started adding cute yet functional accessories I found myself getting right back into my love of planning. Planner peace? I'm not quite sure....but I sure am happy with it! One of the unintentional themes of my life, my planner, and my blog is cleaning. I've been obsessed with coming up with an effective & simple cleaning routine that I just flipping do! Who else struggles with keeping their house neat and tidy? Just me? Lordy I hope not! Back in January I shared a post on being your best self and this post inspired me to write out practical routines that will make my life better....and cleaning was one of them. 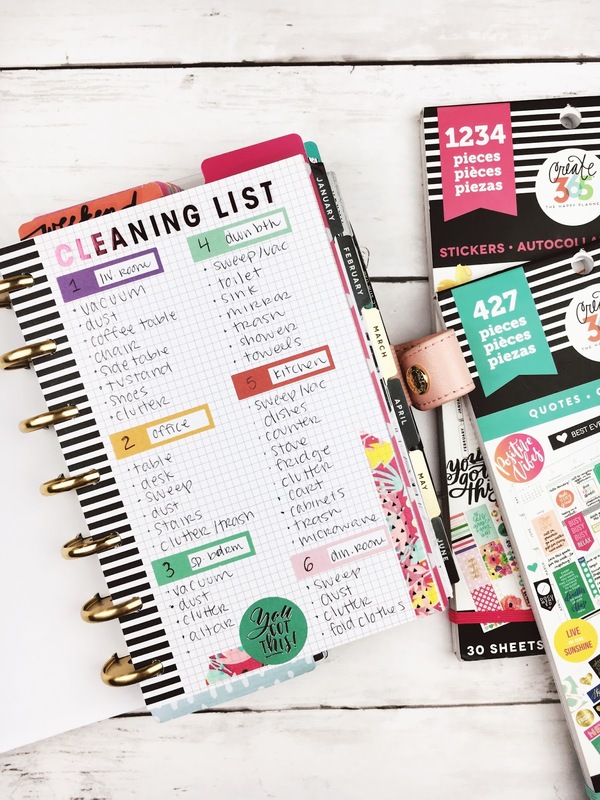 The graph filler paper plus some of the more functional stickers from the MAMBI Today is the Day pack & Quotes pack packs make creating your cleaning routines fun. Sprinkle in some washi & some quotes and you'll be inspired in no time. I broke my cleaning routine in to zones, though not the traditional zones that I believe are in zone cleaning. This is just what works the best for me. Learn more about my journey developing a cleaning routine here. I have a whole separate vision planner that I use as a place for visual inspiration to align myself with my goals (or vision) for the year! But in my everyday planner I like to have a reminder of the things I'm working towards in the year. Again, I pair some functional stickers with some of the quotes and washi to make an inspiring place to fill in my goals. The old Productivity Sticker book as well as the Student Sticker book and the new Colorful Boxes sticker book would be great for this little project. 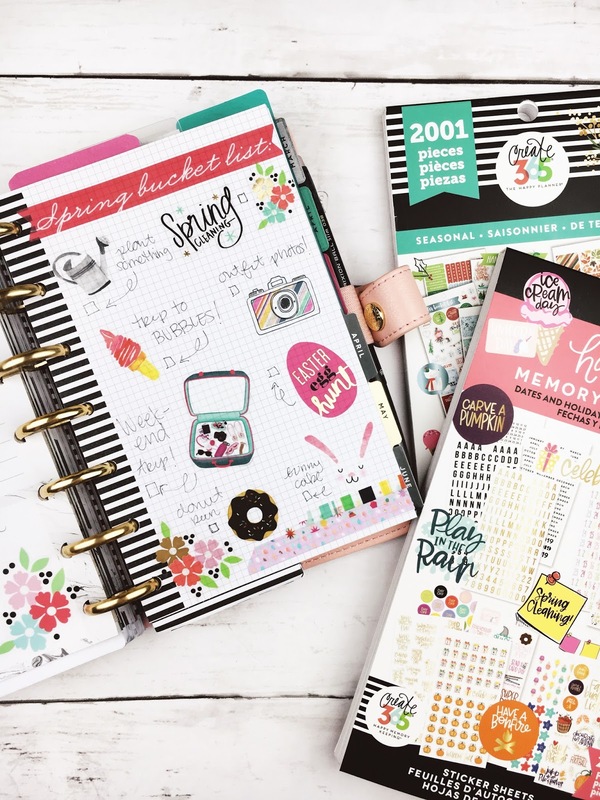 The seasonal MAMBI sticker books already have seasonally inspired bucket lists for you to stick in your planner, but you can totally get creative with what you put on yours. By using the different decor stickers you can create a custom bucket list for a season, holiday, vacation, etc. A cool idea for this would to do a weekend getaway bucket list using some of the seasonal stickers especially if you're going away with family and have a few memories you want to check off. The Memory Planner sticker books would be great for this! Back to visualizing your best self here! What does you're ideal daily routine look like? You can use the graph paper to outline hour by hour what you'd like your day to look like. I know that the new Fill In Productivity sticker book has hourly stickers designed for the classic size, but you could trim them to fit down the Mini Happy Planner for your morning and evening routine. I also like to make a weekend routine so that I stay on track with prepping for the next week. Sticking to the routine is the hard part! As a blogger sometimes I have a lot of things going on at once so it's nice to be able to breakdown a project into steps. I usually do this for the essential oil classes I offer but sometimes I'll do it for bigger projects like ebooks as well. Both of the Student Sticker books (this one & this one) hav these project stickers where you can name the project, add a few details, and then add a due date. Now I have a whole sheet dedicated to that project! 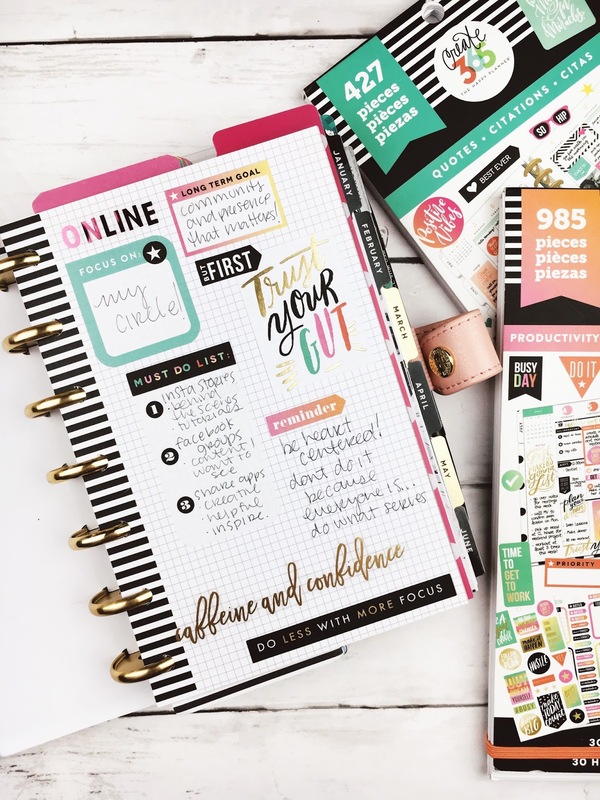 The lined & graph filler paper is such a versatile addition to your planner especially if you need a little bit more space to write and plan things or if you find yourself going to too many different notebooks for what you need. 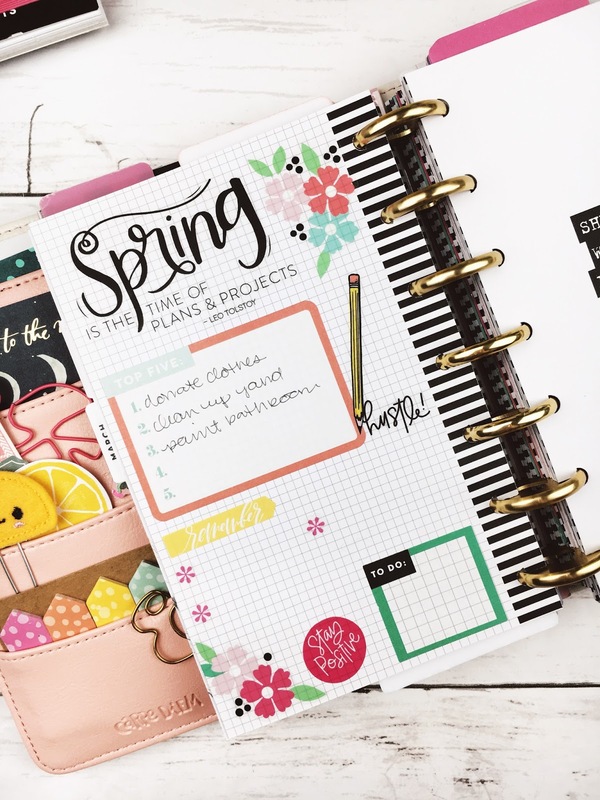 It's fun to get creative in your planner and these creative projects can also be functional! 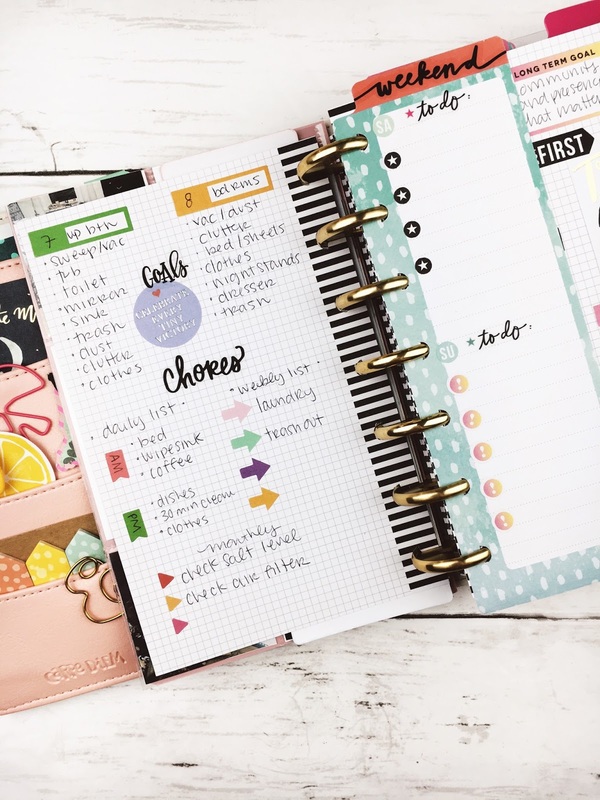 If you want to see more ways to keep your planner fun yet functional check out this post, too. 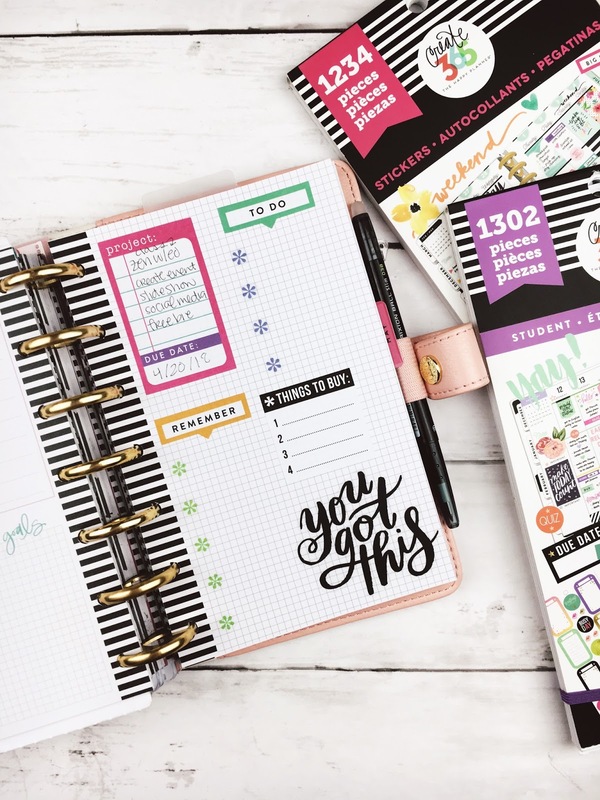 The whole Happy Planner line is both fun & functional. I love collecting everything I can from the line so I have a bunch of options when it is time to create something new. How do you use graph paper in your planner? What fun yet functional things to you include in your planners?